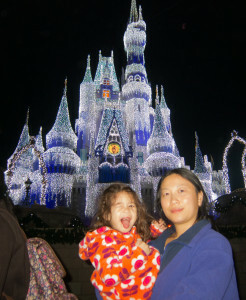 This post is meant to be a followup to last year’s post, Visiting Walt Disney World with a 2 Year Old. I’ll be referring to, and updating, that post with the elements that were different this time around. For one, I said she wouldn’t remember the first trip. While that’s certainly true in the long run, three year old Scarlett definitely remembered the previous trip. She asked for rides she’d been on last time and she remembered going on the monorail. Last time I said it was an average of $100 a day for Danielle, Scarlett, and I. In the intervening year she found her appetite and so our food average was closer to $150 a day for the three of us. When it comes to the flight, this time she was of age to pay for her seat. That added up to about the cost of another Disney ticket. To offset that we combined it with a trip to visit the family. Certainly this is one of the biggest reasons that families out of driving distance only go to Disney rarely. Just as last time we went just before Scarlett’s second birthday to avoid the flight costs, this time we went just before her third birthday to avoid the cost of a Disney ticket for her. We once again stayed at the Fairfiled Inn that was right by Disney. It continues to be a good deal with free parking, nearly a dozen restaurants nearby, and free breakfast. My advice on when to go has not changed since last time. Spring is still the best time. This time it was winter and it was sweater weather during the morning and night we were able to get by on tshirts midday. As a reminder, it’s a tossup during a Florida winter. The week after we left it was in the 70s. 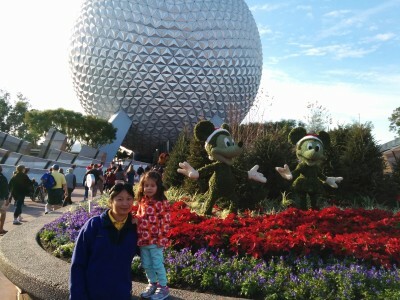 This time around we decided to check out some of the other parks on my mother’s insistence. Because Scarlett caught a stomach bug that cut our trip short (she had to go to the hospital on dehydration concerns), we only ended up doing Epcot and Magic Kingdom this time around. As I did last time, I’m not going to bother with the chronology of our trip and I’m just going to expound on the experience as a whole. I’d like to start with Epcot. As we get older the difference between each year mush together. I think that’s what happened with my mom insisting that Scarlett would enjoy Epcot at three. I was a huge nerd growing up and I always insisted we go to Epcot when we went for my birthday (and thus I could choose the park). But I didn’t think there was much to offer a three year old. It turns out I was right. 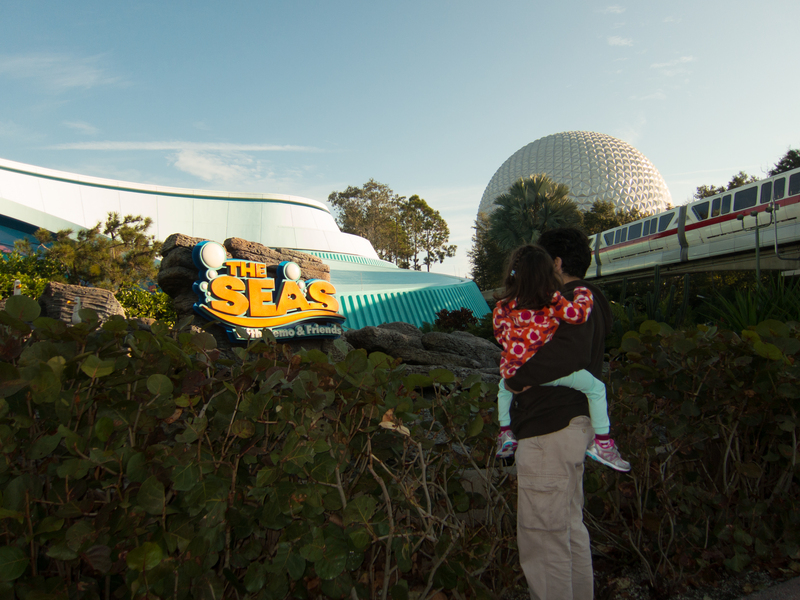 Scarlett did enjoy the Nemo revamp of The Living Seas, but that’s about it. Personally, I found the revamp took away what was special about the ride and made it a generic tie-in that, like The Little Mermaid ride, didn’t seem quite up to Disney standards. (Although, I’ll admit there may be a bit of a nostalgia filter on the older rides) She took Captain EO reasonably well considering her age and the spooky nature of the 3D show. I mostly went to show my wife a ridiculous relic of the 80s that had finally returned now that Michael Jackson was dead (and, somehow, no longer controversial). We also rode the renovated Imagination ride. I felt that the older ride, with its stronger focus on Figment, was much more kid oriented. My younger brothers Dan and Dave, who were just little tykes the first time we went to Epcot seemed to really enjoy it. (One of Dave’s favorite toys growing up was a Figment toy) The new ride seems to skew for much older kids. 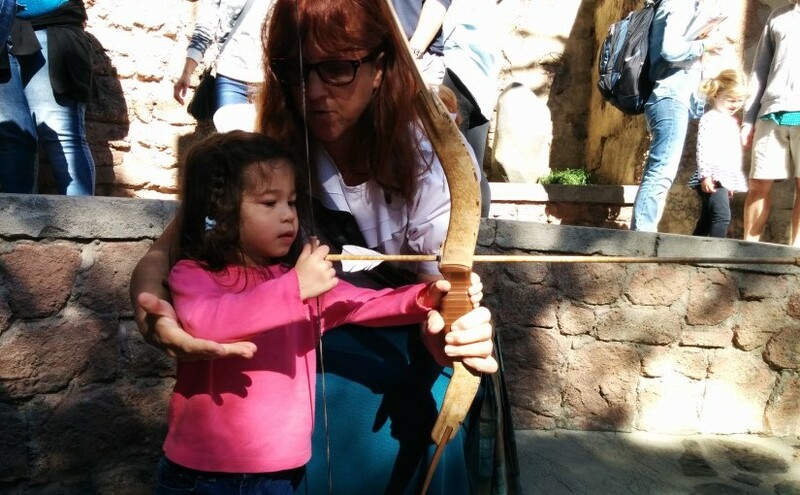 The World Showcase continues to be completely boring for kids. If Disney can afford it, they would do well to add more rides. One of my faves, the Norse ride, was closed for conversion to a Frozen ride. Scarlett did enjoy meeting the characters, though. One of the things that tipped the balance in favor of taking Scarlett to Epcot was the fact that it was the only place to see Mulan. (Meanwhile Belle is both in Epcot and Magic Kingdom – in different outfits) The biggest change from 2 years old to 3 years old is that Scarlett asked to see certain characters and was excited about seeing them. Additionally, instead of commenting on their clothes, she asked them about their characters. She asked Mulan, for example, where Shang was. 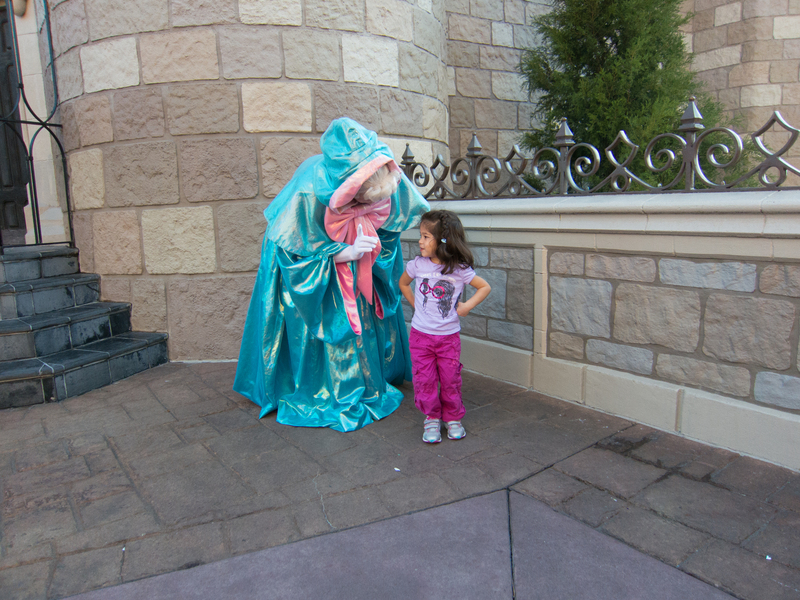 Generally speaking, she asked nearly all the princesses where their princes were. Last time I complained about Fast Pass causing me to run around getting and using fast passes. This time Fast Pass+ was finally active. We set up all our fast passes before we even left from home. So we purposely chose them through a combination of which rides and photos we were most excited to see as well as putting them in an order that kept us from having to run all over the place. It was a vast improvement that made the park fun again and not a tense experience. It also made the app much more essential for planning with wait times, Fast Pass+ reminders, and letting us know where the characters would be. Overall, it was a rewarding trip and very interesting to see how differently she approached the park while only being one year older.